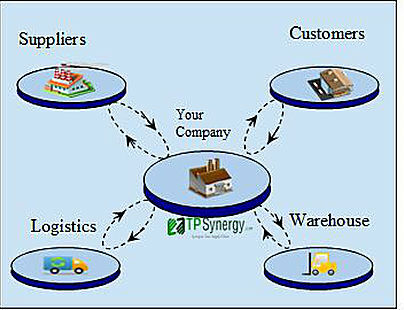 TPSynergy is an Online Collaboration Platform for Supply Chain Management. Buyers, Sellers, Logistics Providers, Warehouse operators use it as a common system to execute Supply Chain transactions in a collaborative manner. TPSynergy provides a common platform for all trading partners in the supply chain. 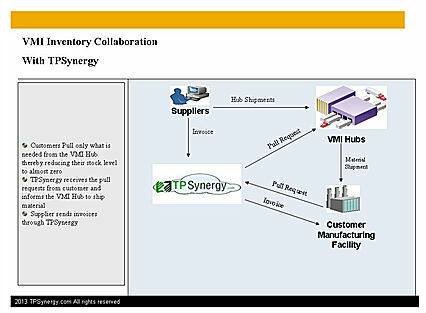 Customers, suppliers, warehouse providers (3pl) and carriers use TPSynergy as a centralized hub. 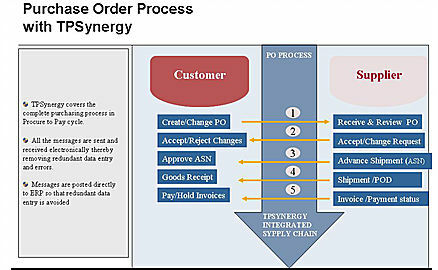 All supply chain communications like Purchase orders, Order confirmations, Change Requests, Advance Shipment Notices, Delivery status, Receipt confirmation, Invoicing and Payments are exchanged through TPSynergy. With one common system that is accessible to all trading partners, TPSynergy becomes the single source of truth for the entire supply chain. Advance Shipment Notices by Suppliers. Vendor Managed Inventory (VMI) is a great tool to reduce inventory levels to a minimum as the inventory is maintained by the suppliers on behalf of the customers. However, it needs constant visibility of the current inventory levels so that it is replenished in time by the suppliers. TPSynergy achieves this by automating the consumption pull requests and providing visibility to both customers , suppliers and warehouses. TPSynergy removes the dependency on paper invoicing. Invoices can be created automatically in TPSynergy or suppliers can upload or send invoices electronically. These invoices are validated with the purchase orders and receipts. 2-way or 3-way matching is done in TPSynergy electronically and only clean invoices are sent to the customer’s ERP system. It reduces all the manual work in verifying manual invoices and reconciling them to the actual purchase orders and goods receipts. TPSynergy monitors the supply chain for potential issues and alerts the trading partners to take pro active actions. 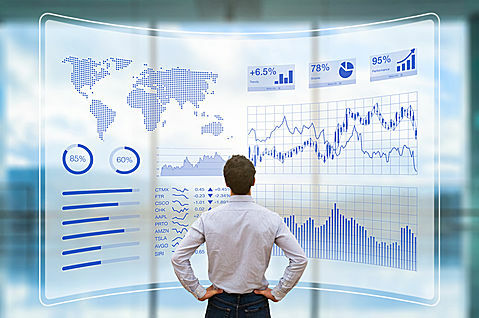 Some of our alerts include: suppliers have not responded to purchase orders in time, shipments were not made within the ship window, material was shipped but not received, shortage receipts at receiving locations, inventory went below the minimum level, invoices are on hold, and invoices were not paid in time. TPSynergy can also make custom alerts based on your needs. TPSynergy comes with prebuilt integrations for many popular systems such as SAP, Oracle, Quickbooks, and Oracle Database. Integrations to other systems also possible with Microsoft Excel upload and download. 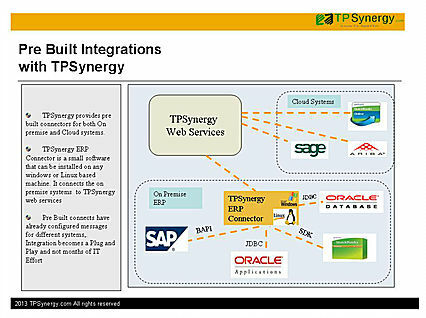 TPSynergy also provides easy to use web services for integrations. Using the pre-built integrations, data can be sent back and forth from TPSynergy to on premise ERP systems or cloud based systems such as QuickBooks or SAGE ERP. 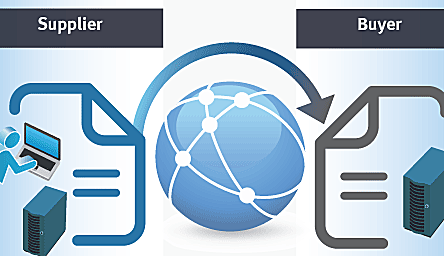 TPSynergy also has ready built connectors for EDI Integration, so if the customer or supplier are EDI ready, EDI messages can be sent to them with minimal effort. TPSynergy also supports both X12 and EDIFACT standards for EDI Integration. Most of the supply chain related EDI messages like 850, 855, 810, 820, and 856 are included in the pre-built integration also. TPsynergy allows for continuous evaluation of suppliers through metrics data. Easily measure your supplier in terms of: on time delivery, product quality, pricing changes, invoice accuracy, response time, and price comparison.